CLICK HERE! All of the latest information in regard to KANSAS HERITAGE PHOTOGRAPHY can be found at this location. 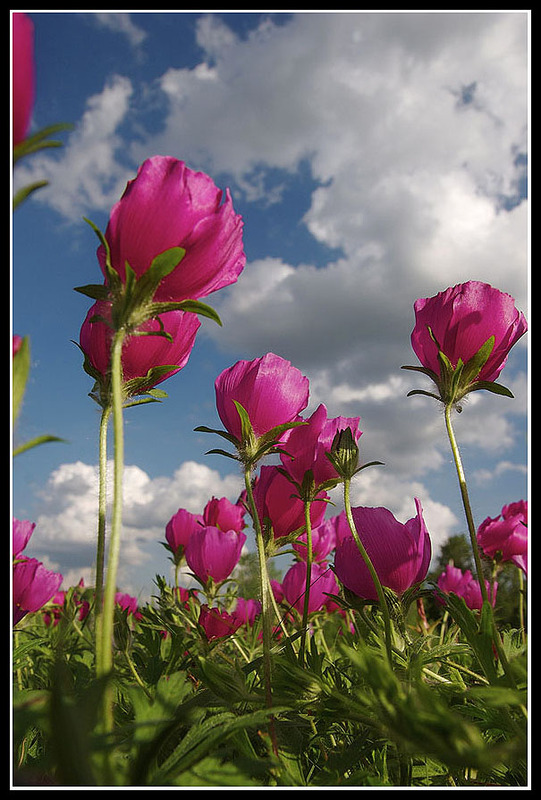 You can also view photo portfolios and find links to a variety of other sites. This link was added on 27 May 2013. Click on the ORNATE BOX TURTLE below. Click on the ORNATE BOX TURTLE above. 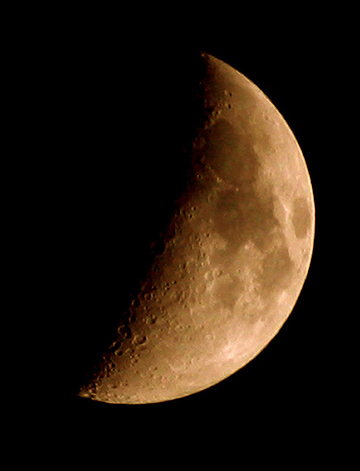 Click here if you are looking for a photo album from your past photo shoot if the shoot took place after 1 June 2009. Email KANSAS HERITAGE PHOTOGRAPHY at wakarusa@mac.com if you have problems accessing your images or if you have quesions. 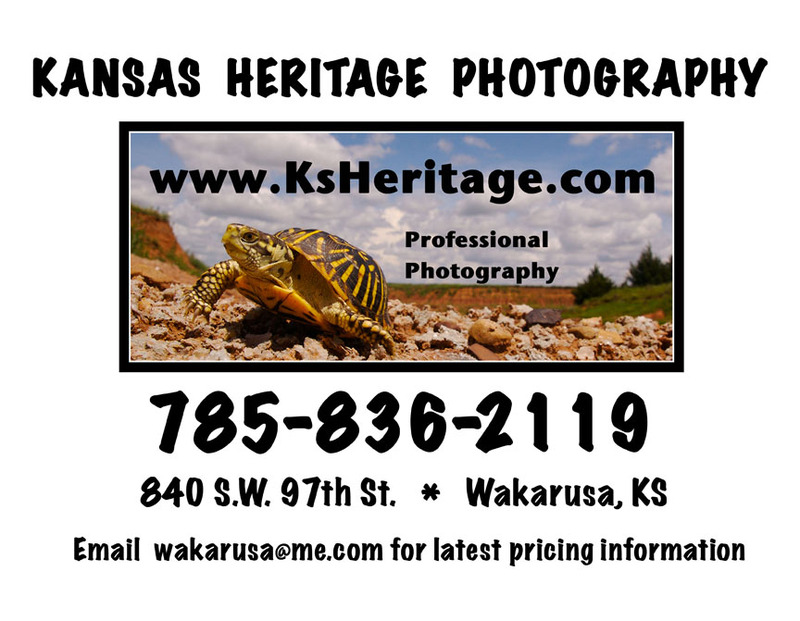 You have found a website created by Larry L. Miller of KANSAS HERITAGE PHOTOGRAPHY of Wakarusa, Kansas. It will not take you long to discover that I am not a professional when it comes to designing and building websites, but I have fun trying. I have been involved with photography, education, and biological research for well over 30 years, and I have attempted to share some of my past experiences on this website. Also, my wife, Suzanne, and I own KANSAS HERITAGE PHOTOGRAPHY. I retired from the Seaman School District located in Shawnee County, Kansas at the end of the 2007-08 school year after spending seven years teaching freshman science classes at Northern Hills Junior High School. At the time of my retirement the district was growing and evolving. Northern Hills became the new Seaman Middle School at the beginning of the 2008-09 school year. Those of you that are interested can view a variety of photos taken between 2001 and 2008 relating to Northern Hills Junior High by going to www.nhjhbiology.com and following the many links. Please feel free to email me at wakarusa@mac.com if you have questions or comments. Also, please take a few moments to sign the guestbook at the bottom of this page. I hope you find something of interest either at one of my web pages or by following some of the many links to some of my favorite sites. 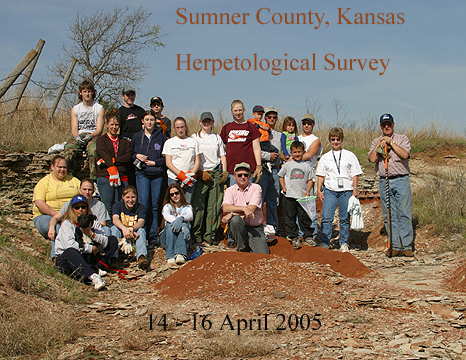 Click here to learn about the May 2009 Herpetological Field Trip to Sumner County, Kansas. NORTHERN HILLS JUNIOR HIGH SCHOOL has been involved with may worthwhile projects over the years! Check out the photo, text, and links below to learn about a few of them. 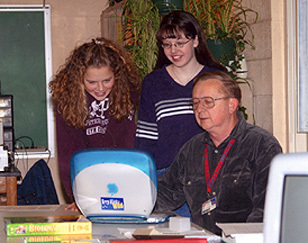 The students and staff at NORTHERN HILLS JUNIOR HIGH SCHOOL in Topeka, Kansas collected more than $5,000 and donated it to UNICEF during a special assembly on 13 April 2005. Click on photo for a larger picture. HURRICANE KATRINA 2005: Students at NHJH held a carnival on Friday, 16 September 2005 to raise money for the Hurricane Katrina victims. They raised $4,400 in about four hours! THANKS TO EVERYONE THAT PARTICIPATED IN THE EVENT! During the year 2005 the students and staff at Northern Hills Junior High School in Shawnee County, Kansas collected more than $13,000 and donated it to a variety of organizations that help those in need. View two photos from their work above and click on this text to read a 3 January 2006 TOPEKA CAPITAL-JOURNAL story about their last fund raiser of the year 2005.
images relating to Mr. Larry L. Miller. Click on the text below to go to the KANSAS ALLIANCE FOR EDUCAITON website. Created in the fall of 2005. CLICK HERE IF YOU SUPPORT PUBLIC EDUCATION. 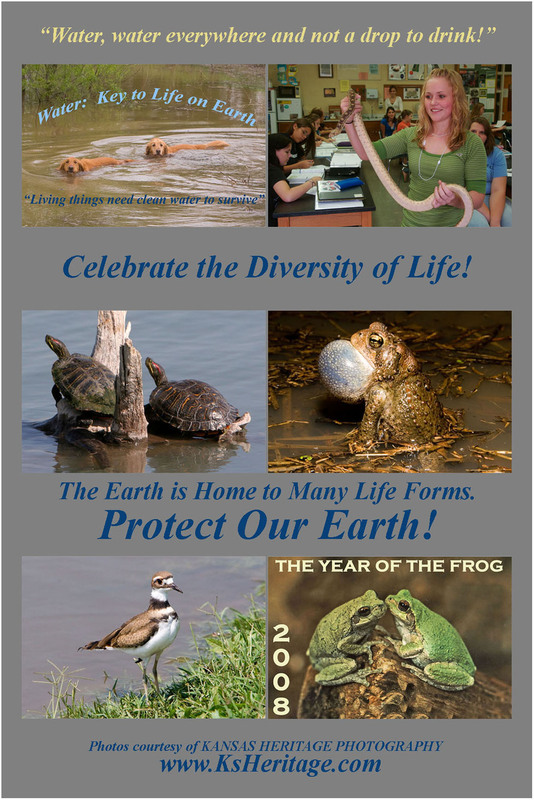 Click here for images from the 2005 annual meeting of THE KANSAS HERPETOLOGICAL SOCIETY. 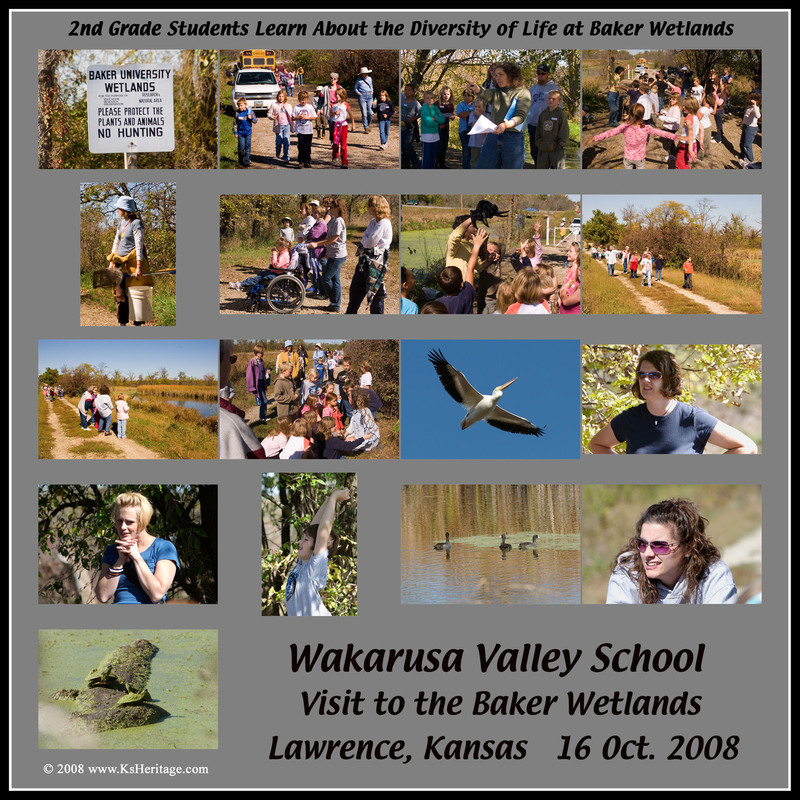 Click here for images from the fall 2005 field trip of THE KANSAS HERPETOLOGICAL SOCIETY. Click here to go to a collection of photographs taken at ASCE Egg Drops. Photos are from events held between 2002 and 2005 at the Capitol Building in Topeka, Kansas. 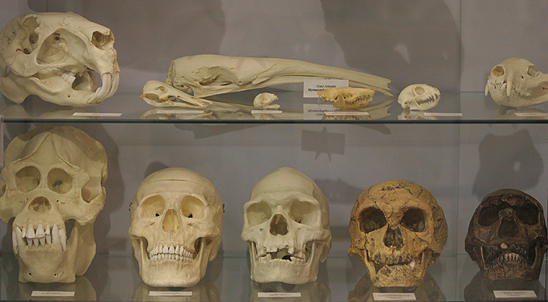 Click here to view photographs covering a diversity of subjects. All photos by Larry L. Miller of KANSAS HERITAGE PHOTOGRAPHY. Click here to learn more about KANSAS HERITAGE PHOTOGRAPHY and and some of the services offered by Larry L. and Suzanne L. Miller. Many of the photos in this album were taken by Larry L. and Suzanne L. Miller of KANSAS HERITAGE PHOTOGRAPHY located in Wakarusa, Kansas. 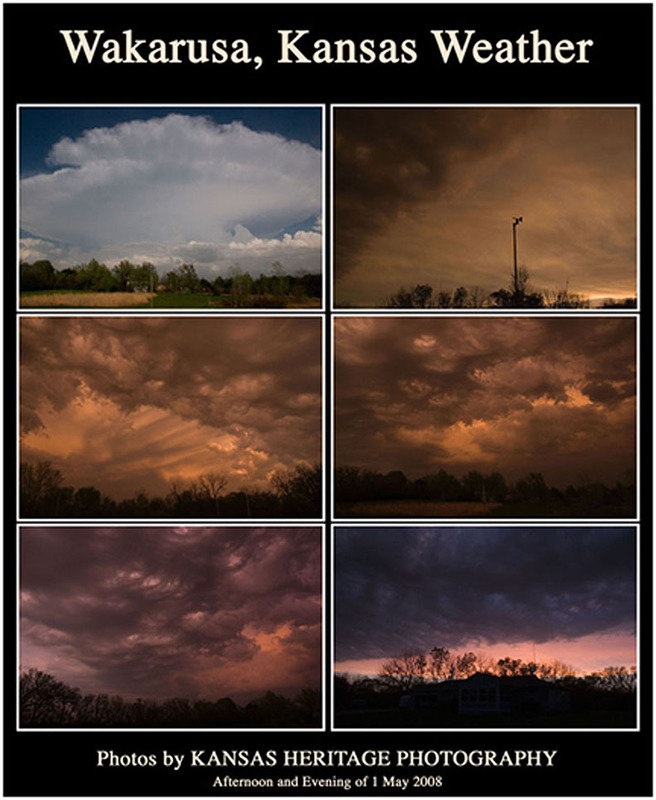 Some of the photos were taken by students and staff members at NORTHERN HILLS JUNIOR HIGH SCHOOL, TOPEKA COLLEGIATE SCHOOL, and CALDWELL ELEMENTARY SCHOOL. 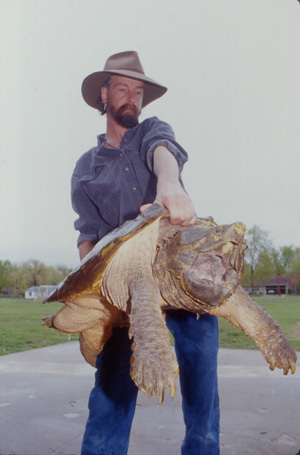 Others were taken by a variety of members of THE KANSAS HERPETOLOGICAL SOCIETY. Mr. Miller greatly appreciates the assistance of everyone that has provided photos for this site. 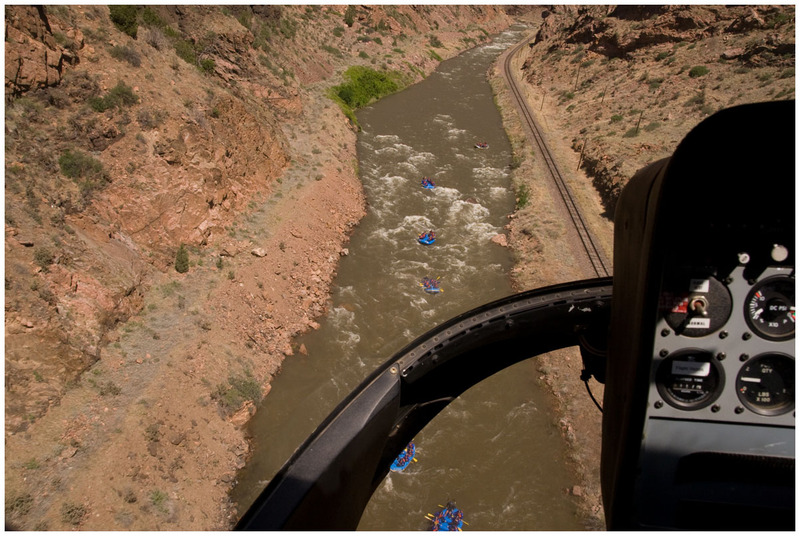 Photo credits and caption information are provided for some of the photos. All of the photos are copyrighted material. THEY MAY NOT BE REPRODUCED IN ANY FORM WITHOUT WRITTEN PERMISSION FORM THE PHOTOGRAPHERS. friend to go to the herpetology page. Click here to go to the official USD 345 website. USD 345 is the Seaman District and is located in northern Shawnee County, Kansas. 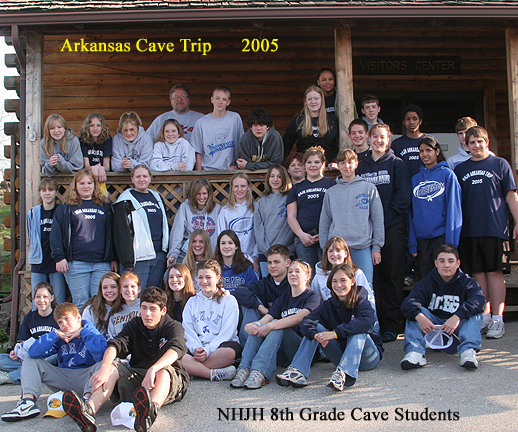 Click here to go to the NHJH Reward Trip page and view photos from the 2005 trip to Worlds of Fun in Kansas City. Click here to go to the BAT CONSERVATION INTERNATIONAL website. Beautiful photos and educational information about bats around the world. 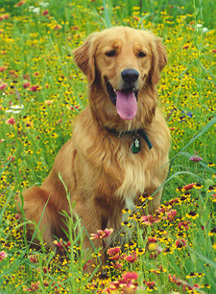 Click here or on the photo of the Golden Retriever to go to the HELPING HANDS HUMANE SOCIETY website. The HHHS is located in Topeka, Kansas. Click here to go to the MISSION WOLF website. Learn about wolves and what one dedicated group is doing to educate the public. Plan your next vacation to MISSION WOLF for an experience of a lifetime. 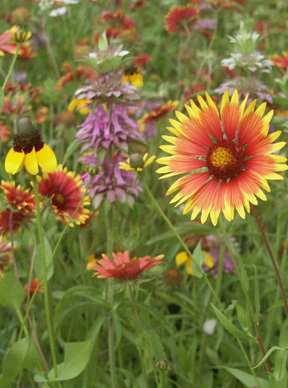 Click here to go to WILDSEED FARMS and discover how you can create a beautiful and natural wildflower area near your home. 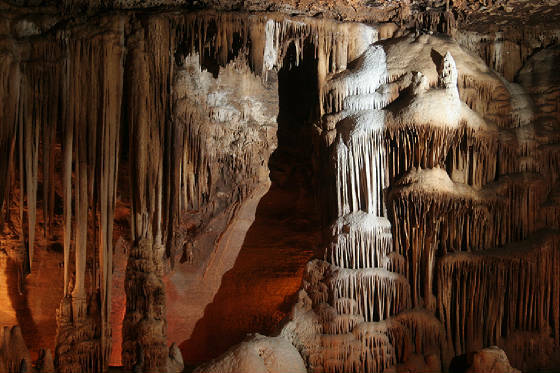 Click on photo above for more Arkansas cave photos. 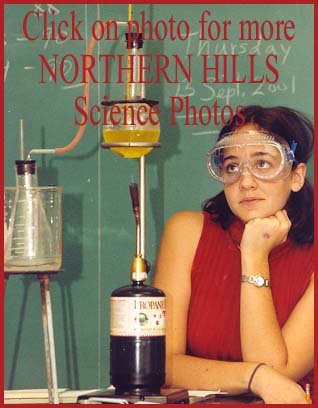 NORTHERN HILLS JUNIOR HIGH SCHOOL BIOLOGY WEBSITE. during the summer of 2008. "Life is good in the Wakarusa Valley! Click here to go to the CAUGHT READING website. View more photos by clicking below. Get more information by clicking above. FACEBOOK: Those of you that are members of Facebook can view many images from KANSAS HERITAGE PHOTOGRAPHY by clicking on this link and following the many photo related links at my Facebook account. 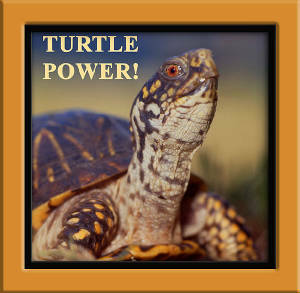 Click below for the ORNATE BOX TURTLE story! 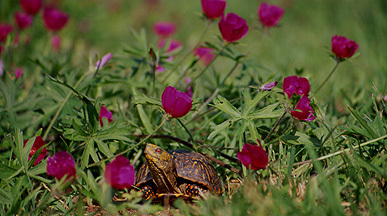 ORNATE BOX TURTLE photo by Suzanne L. Miller. Click on this text to read a brief history of the herpetology of southern Sumner County, Kansas. Click on this text to access an article in regard to THE ORNATE BOX TURTLE as a KANSAS ICON! Mr. Miller grew up on a small wheat and cattle farm in Sumner County, Kansas. He has lived in Kansas all of his life. 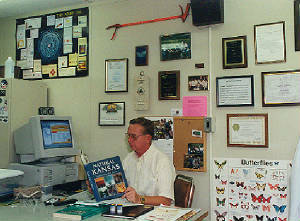 Mr. Miller attended public schools ranging from one of the last one room rural schools in Kansas to a high school with a graduating class of about 170. He has also attended both public and religious colleges and universities since graduating from high school in 1967. He has taught a variety of subjects in both private and public schools since 1971. Some of the highlights of Mr. Miller's life can be found at this website. There are links to schools he has attended as well as to schools where he has taught science and other subjects. 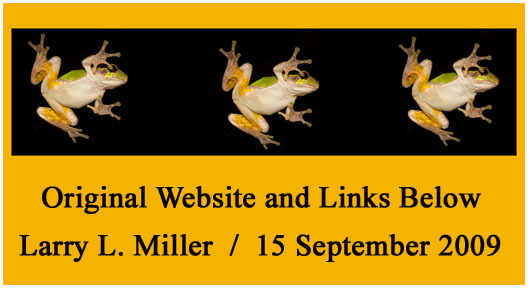 There are also links to a variety of science and natural history related photos and websites as well as links and information in regard to many other topics that Mr. Miller has been involved with during his life. Please feel free to contact Mr. Miller if you have questions or comments in regard to public education, private education, photography, natural history, the environment, or science in general. He will be happy to share his thoughts with interested persons. to view more weather related photos. Click on the "CAUGHT READING" text below to find out who has been caught reading in Shawnee County, Kansas. for information about TOPEKA COLLEGIATE SCHOOL. biology website information and much more! Mr. & Mrs. Miller's KANSAS HERITAGE PHOTOGRAPHY page. Many of the photos and some of the text at this site are links. Click on photos or text that says "CLICK HERE" to go to new locations. Click here to go to Mr. Miller's THE OUTDOOR CLASSROOM location. Click here if you teach science in Kansas and learn about the KATS. Click here to go to THE TOPEKA CAPITAL-JOURNAL website and find out what is going on in Topeka, around Kansas, and around the world. Click here to discover what there is to see in Nebraska and South Dakota. Arkansas Cave Field Trip 2005 page. Click on the photo below. 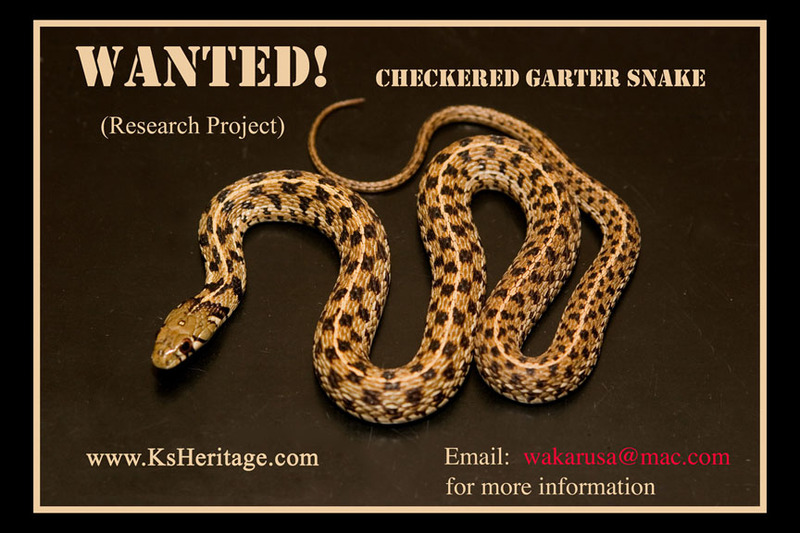 Click on this text for the 30th ANNUAL HERPETOLOGICAL SURVEY OF SOUTHERN SUMNER COUNTY, KANSAS that took place from 11-13 May 2006.
to access everything you every wanted to know about the object. 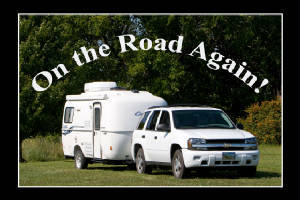 Click on the CASITA TRAVEL TRAILER link below to find out how Mr. and Mrs. Miller travel and camp during their adventures. Wine Cups (Wildflowers) on the Kansas Prairie. from the 2008 KHS Fall Field Trip. Click here for "CHASE MIDDLE SCHOOL STUDENTS MEET A BULLSNAKE!" Photos taken on 15 August 2008 at Chase Middle School in Topeka, Kansas. Click below to enlarge this image. CLICK HERE to view photos taken of the special Kansas program given by students at Caldwell Elementary School in Caldwell, Kansas on 26 January 1986. CLICK HERE for photos from one of Mr. Ed Cowen's rocket classes at Northern Hills Junior High School. CLICK HERE for photos and information about the Northern Hills Junior High School penny drives. CLICK HERE to go to the Northern Hills Junior High School biology and science website that was created before the school became Seaman Middle School. 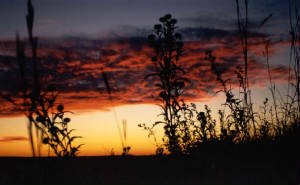 CLICK HERE FOR THE LATEST KANSAS HERITAGE PHOTOGRAPHY INFORMATION. 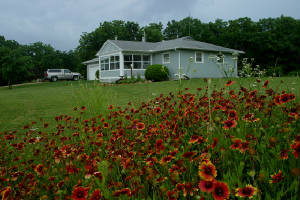 Click here to go to the TOPEKA AUDUBON SOCIETY website. 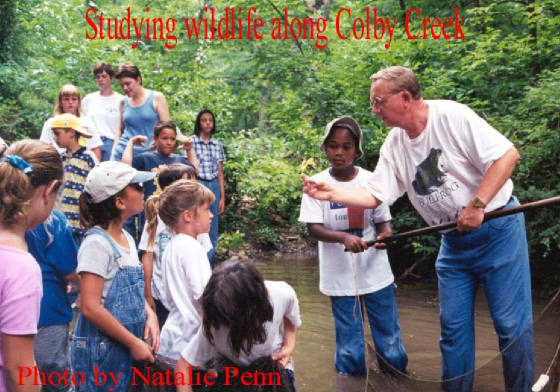 Check out upcoming field trips and much more at this educational site. Click here to go to the FRIENDS OF THE TOPEKA ZOO website. 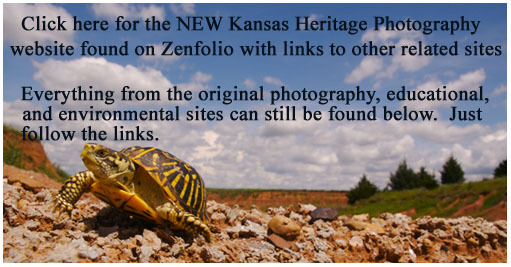 Click here for the KANSAS HERITAGE PHOTOGRAPHY Zenfolio website. Access sample photos and find your photos at this location. Some galleries require a password. 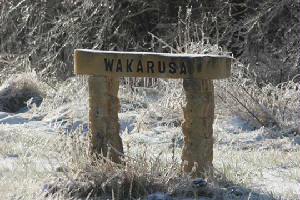 Click here to go to the DISCOVER WAKARUSA, KANSAS website!